Teaching my kids to read has always been my one of my favorite stages of parenting. It’s so fun to see the light just turn on as they slowly start to recognize that letters make sounds, and sounds turn into words. 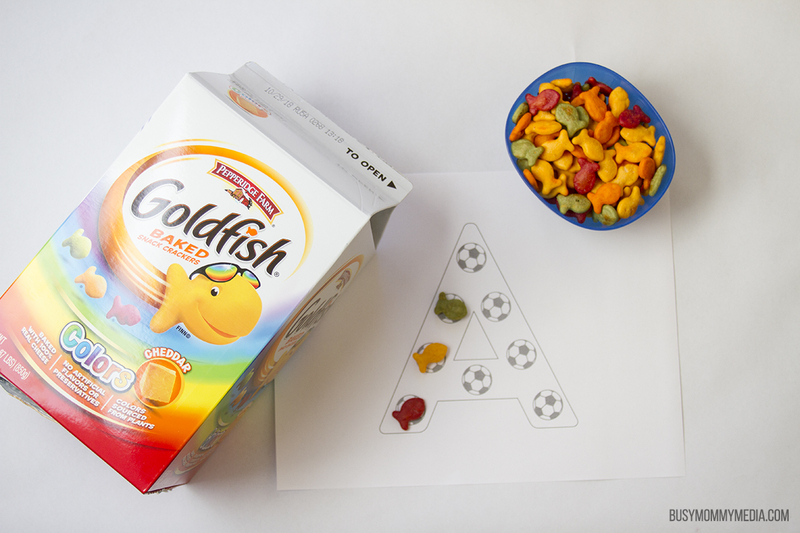 This fun Goldfish® crackers Alphabet game for preschoolers is perfect for early letter recognition and such a hit for the little soccer fans in your life, and with a little thanks to Walmart, we had everything we needed to play. My twin preschoolers have been watching their older sister learn to read and it has gotten them really excited about learning the letters of the alphabet. 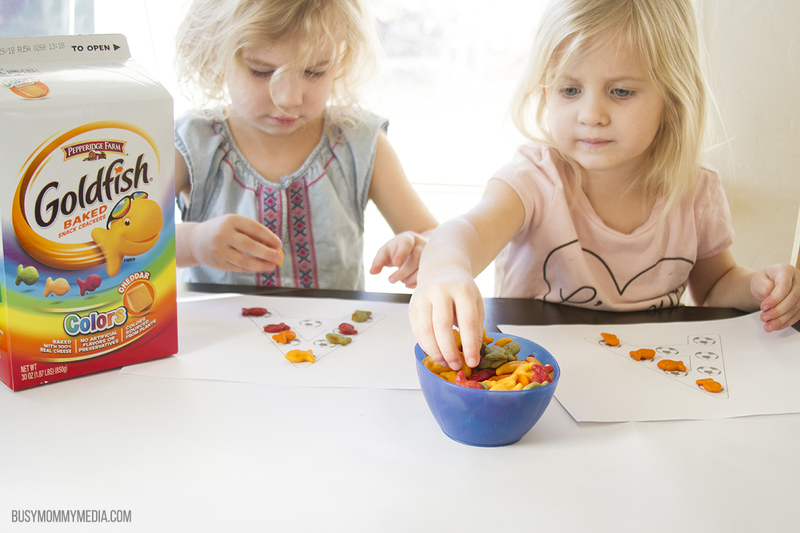 Any alphabet activity is always a hit with them, especially if it involves snacks, like this one does. This printable Alphabet Game for preschoolers is such a great way to practice letter recognition. My girls sure loved it. For game pieces, we used Pepperidge Farm® Goldfish® crackers. These are always a favorite and right now you can get the 30 oz. cartons at Walmart on rollback for $6.46 in store only. They have some great flavors to enjoy. 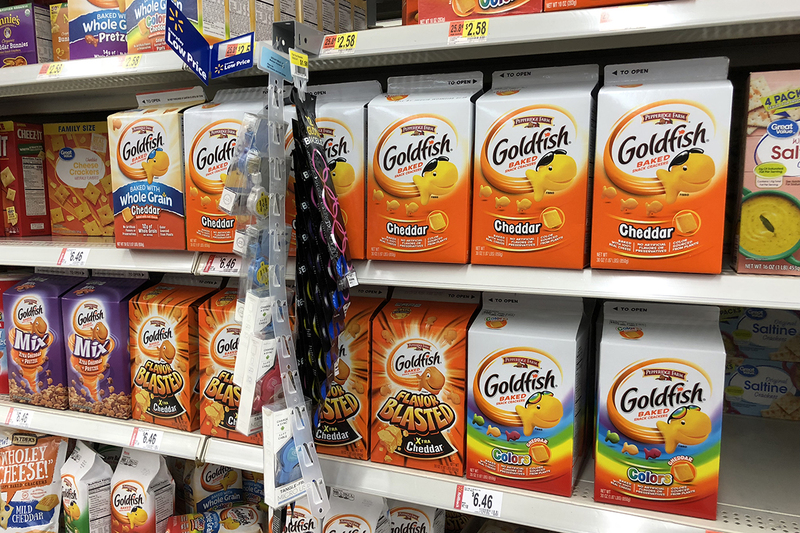 I purchased the Pepperidge Farm® Goldfish® crackers Cheddar and the Pepperidge Farm® Goldfish® crackers Colors. You can purchase them at Walmart by clicking the photo above. My girls love the Colors crackers because they are so fun and I love that the color is sourced from plants. 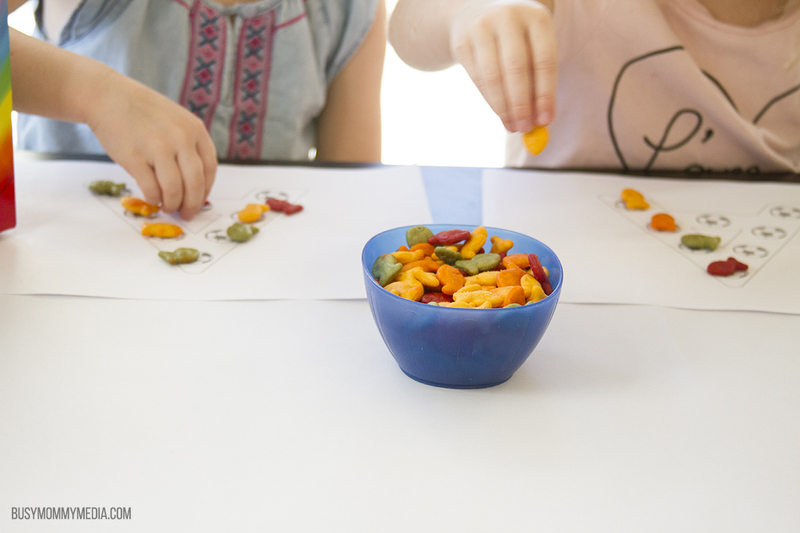 They are fun to use for so many activities and we love having them on hand for a quick snack. Optional: Activities to get kids moving in between letters. This game is very simple, but super effective at helping preschoolers with letter recognition. Place the Goldfish crackers of your choice in a small bowl. Choose one alphabet letter to start with. Tell your child what the letter is and what sound it makes (or have them tell you if you’ve practiced this already). Have your child place one Goldfish cracker on each soccer ball that makes up the alphabet letter. Kids do well with lots of activity and I find they retain what they learn better if I break things up into short lessons. After completing one letter I like to have my kids do something active. Have them go jump on the trampoline, kick a real soccer ball across the yard one time, jump like a frog across the yard, or anything else they like to do. Once they get the wiggles out, have your child come back and tell you the name of the letter and the letter sound that you have been working on. 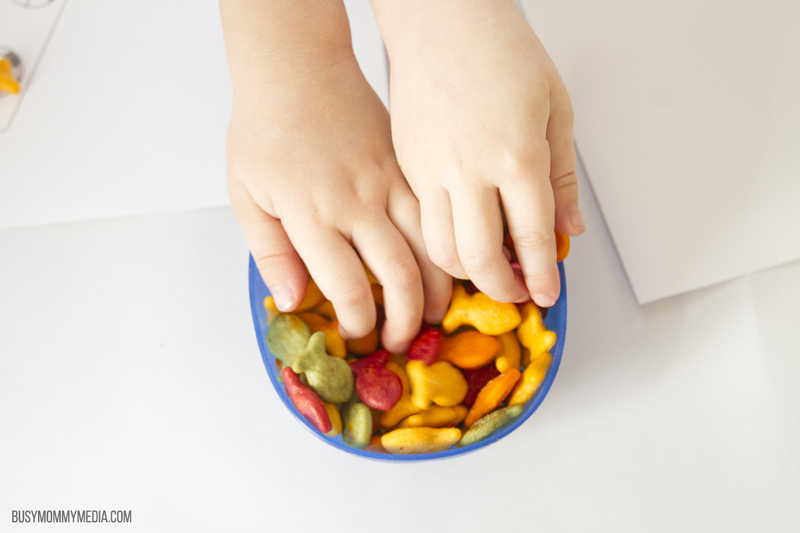 Have your child touch the letter as she says the name, then let her eat the Goldfish crackers. You can repeat this with as many of the letters of the alphabet as you want. We only focus on 1-2 a day so we can reinforce what we are learning. Visit this site for more game time inspiration!